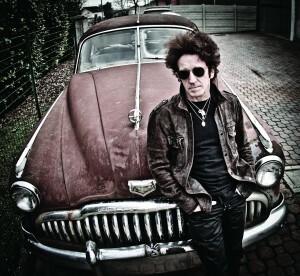 New York singer/songwriter Willie Nile is turning the glorification of youth in music inside out. He’s 65 years old and his new album American Ride has hit #1 on Billboard’s Heatseekers chart, which typically features “new” artists. In a way, though, Willie is new in that a lot of people are discovering him for the first time. After a few decades on the outer reaches of the rock and roll radar screen, his beacon is moving closer and closer to dead center. 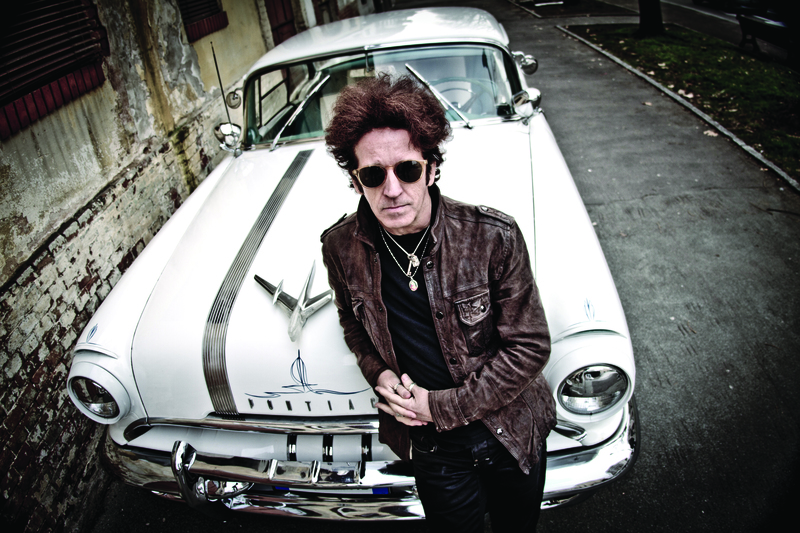 A prolific songwriter and energetic performer whose youthful appearance is striking for his age, Nile has long been revered by musical peers such as Elvis Costello, Bono, Bruce Springsteen, Lucinda Williams, Pete Townshend, Ringo Starr, Jakob Dylan and more. But commercial success has always eluded him. With this new chart-topping album and a tour itinerary that’s larger and more widespread than ever, Nile is setting a huge precedent in the music business: age no longer matters. In this way, Nile is an inspiration to many performers who upon turning age 40 start to lose hope of ever seeing their dreams come to fruition. Nile proves that age is a fallacy and a moot point – not only in music but in anything you are striving to achieve. I’ve had a few opportunities to chat with Nile in the past, but it was great to finally connect with a formal interview and put all the pieces together regarding his long overdue rise to widespread acclaim. Chris: I love the new record. I’ve listened to it a lot, and I recently read that it reached #1 on Billboard’s Heatseekers chart. That’s wonderful. Willie: It’s off the hook! I mean, what the hell? I was really surprised, pleasantly so. I mean I love the record. I think it sounds good, and the band played great on it. Yeah, it was a pleasant surprise to say the least. Chris: This record features your road band, correct? Willie: That’s correct, yes. We rehearsed a couple of days – maybe two or three days – before we went in (to the studio). I had the songs picked out. I knew what I wanted. But we’d been playing together so much, and I think that it shows on this record. I mean I love all the records that I’ve made, but the way this came together…it sounds like a real band. I think the fact that we’ve played together so much really had an effect. Cutting the tracks was fast; it was fun. It feels alive to me. Chris: I guess when you record with your band as well as travel on the road together, they feel more invested. Do you agree? Willie: Yeah I mean…it means something to them. I send them all the reviews and press, and they take pride in it. It’s meaningful to them. They care. They’re not just playing for a gig. Their passion comes across on the record. Chris: It seems to be a real group effort both in the studio and onstage, which no doubt contributes to the camaraderie that not only you feel, but your fans as well. Willie: You know it feels like a family, it really does. We travel so much and go to so many different places, we’ve been in Europe and all across the States. We’re so close, and we play for the right reasons, for the joy of it…not showing off. Nobody’s trying to be the next American Idol, or an idol of any kind. It’s about the music. And when we play it just comes across loud and clear to everybody. It’s selfless in that way, and the audience feels a part of it. I love that. It’s very satisfying. When we travel around and people come out the way they’re coming out, it just feels like family. There’s a kind of closeness and people feel a part of it, as well they should. Chris: Definitely. When people feel a part of it, that’s when they’ll buy records, come out to shows, and ultimately support the artist. Perhaps they’ll support you to the point where it’s possible to have that high charting on Billboard. It seems to be the old school approach: just to get out there and win fans one by one, as the old cliché goes. Willie: Absolutely! It feels really good and it feels genuine. It’s a strong foundation, the old school plan of people coming out singing it, hearing it. I think we did that as well as the Pledge Music Campaign, raising money to help pay for making the record and the promotion of it. In four days we made 100% of what we were looking for, we even went to 300% on top of that. It was just surprising to me; I was so amazed. When I was in the UK not long ago, a promoter came over to me and said, “You know, normally artists will come over once a year. Often times the audience will have the attitude that, ‘we saw them last year.’ You guys are over here every six months and people can’t wait to come, and bringing their friends as well. I’ve never thought of it this way, but your show is a feel-good show. Your music and your concert and the whole experience is a feel-good experience. People want that.” And it feels like that to us as well, you know. I’m really thrilled about it. Chris: Having met you numerous times in person, I know that you’re a very personable guy and you will stop to meet with fans. You have to admit that when you’re on the road it gets very tiring sometimes and there’s a lot going on. You seem to be able to transcend that and be there to shake a hand and say hello. That makes a lot of difference from my standpoint. Would you agree that that characteristic is an important factor here? Willie: I think it’s a really important factor, I really do. Even if I’m tired, when I get on a stage the music picks me up -every single time. Not once has it not happened. All of sudden it’s like, “Where did this come from? This energy, this passion?” It’s largely because of the songs; they’re real to me. They really mean something, every one of them. If I don’t mean it, I don’t sing a song. If some older song doesn’t have the resonance it used to, I just won’t sing it anymore. We played in New York last week, in the Highline Ballroom, packed house. Jakob Dylan came out to the show. A lot of friends came out and you could feel the love in the room. Not just towards me, but to the band. The audience knows and recognizes them, they identify with them. It really feels special to me. I think it’s because the music’s real and it certainly fuels me and gives me the strength to go on. I’m a pretty friendly, sociable guy, but something about the music just connects with all of us; I’m feeling that. Chris: You’ve always had a tremendous amount of support from your musical peers, but now getting a huge amount of public attention and commercial success. Meanwhile, you’ve already put in decades of work. It’s unusual because bands that have been around for a long time generally have already reached their apex of success long ago, and are ebbing off creatively and commercially. But you are setting a new precedent because you’re going the opposite way. Willie: Complete opposite, and that surprises me as well as anyone else. I’ve already got another record written and ready to record. I’ve got songs that I feel really strongly about, and I think they’ll make a great collection. I tell people, “I’ve got another record and I think it’s going to be really good.” They’re always surprised! Like, “Jesus, another one? Another one that’s even better?” It was the same thing with American Ride; the response was the same. I don’t know why that is. I think I’m just lucky. Maybe it’s the road. You made a comment in something you wrote, “Maybe it’s because the road isn’t easy.” I have to think about if I had my success earlier in life, would I still have the success I have today? My guess is yes, because I try to keep it real. I’ll never know for sure, but whatever the reason may be, I’m grateful for the journey I’ve been on. It’s taught me so much, it really has. It’s taught me humility, and it’s taught to me to enjoy every day. I’m enjoying this more than ever. I’ve had some heavy experiences touring with the Who, being on stage with Bruce a bunch of times, singing with Ringo…I’ve been really blessed. I’ve also been really fortunate with the press. They’ve been good to me. The response to American Ride has really been off the hook. Why has it happened to me? Going the complete opposite way the people usually go? I don’t know, and I’ve got another record. I mean, I could sit and play you a dozen tunes for what I’m thinking. So whatever the reason is, whatever my journey is, and all those things I’ve learned along the way both musically and in life, it’s just added up to me being in a pretty sweet place. I’m very grateful for it. Like I’m writing my best stuff now? It’s crazy! Chris: Along with it all, there’s this story of a man who has been playing and singing with his heart and soul for decades and is only approaching that widespread commercial success now. Do you think people just love the whole story as well as the music? Willie: I can’t tell….maybe! All I know is that it’s resonating. I never toured in the 80’s; I toured the first year a little bit, the second year a little bit, after the first two records. But then I didn’t play publicly for like five or six years. In the 90’s I played more, but not a ton. I started playing in Europe in the 90’s, and now I played there four months of a year. So it’s really only been the last few years that I’ve toured and toured and toured. I think I did 235 shows in 2011 and 2012. This year it’s been a huge number of shows. I’ve never done that before, but I’ve never burned out on the road. So maybe that’s why it’s still fresh for me. Chris: That could be a factor for sure. It’s interesting how Europe usually catches on to everything first, and then America comes later. Willie: Well I think that I went and played there more often. I played in the northeast, occasionally the west coast, maybe a show or two. So I just haven’t been around, and it’s building more in the states because I’m here more now. I go to back to Europe because I’ve had a base there for a while. Doc Pomus, the great songwriter from the Brill Building era, was a friend of mine when I was playing in New York in the late 70’s early 80’s. He used to come every time I’d play, like six nights a week. I’d ask him why he’d come every night and he would say, “I like what you’re doing kid, I like what you’re doing.” He was one of the coolest guys I’ve ever met. He wrote “Save the Last Dance for Me” and “ This Magic Moment,” as well as a bunch of things for Elvis. He said to me back then, “Go to Europe Willie! They know how to treat a songwriter.” And it’s true to this day. I think that Europe’s really good for me because I’ve played more there than I have in the States. Now I’ve matured and I’m playing everywhere now, more than I ever did before, and it seems to be working. I take pretty good care of myself. My goal is that I just love to write tunes, and I just want to make more records. I’d go in next week and record one if I had the money and the time to do it. Chris: With the success of the Last Pledge Music Campaign, within a year you should be able to do it all again I would assume. Willie: How and where and when I’ll do it, I’m not sure. I want to make a piano record, however the next one I make will probably be the one I’ve written now because it’s hot off the platter. I’d like to make a piano record, just for something different. Chris: Would that be more like the piano ballad “The Crossing” from American Ride? That kind of feel? Willie: I would say. I’ve got a lot of those. Chris: That’s a really nice ballad. I don’t know how to describe it. It has sort of an epic, historical feel to it. More of that would be wonderful. Willie: It would be fun to have an album that is more stripped down, something like that. I’ve got so many songs that there’s no way I’ll be able to record them all. I’ve got another real powerful record with different things in it, but I’d love to make a stripped down one as well. I’ve got a few different ideas. I’m excited about the prospect of the records I know I can make now that I’ve kind of gotten to a point where I’m really comfortable and confident in the studio. I love recording. Chris: I find that when I listen to your style or sound, I’m hearing a bunch of things at one time. There’s an influence of punk rock and folk rock, and you capture this amalgamated sound. Has anyone every asked you how you attain this? Or would you just generalize it as rock and roll? Willie: I just usually call it rock and roll. It’s something you can dance to; whether it’s punk, or more country, or folk, doesn’t matter. It usually has some kind of beat along with it. I mostly think of it in terms of rock and roll. I got all kinds of ideas, with different styles I’d like to explore. I’d like to make an album every couple of months, but I’d never do it if I thought the content would be in any way watered down. I’d only do what I thought was complete. That’s what feels so good to me, and I trust my instincts on that. Chris: Do you think that New York City has it’s own type of rock and roll? I hear a lot of New York specific overtones in your music. I wouldn’t say it sounds a lot like Springsteen, but there’s and anthem feel in your music which is similar to Bruce’s approach, with big choruses and strong messages. Willie: Yeah I love choruses, I love anthems. I love rocking out. Chris: Punk rock comes to mind when I think of New York rock and roll. I can’t help but hear, especially when I watch you play, a punk rock influence in your music. Would you agree that punk rock is a big influence on the music you make? 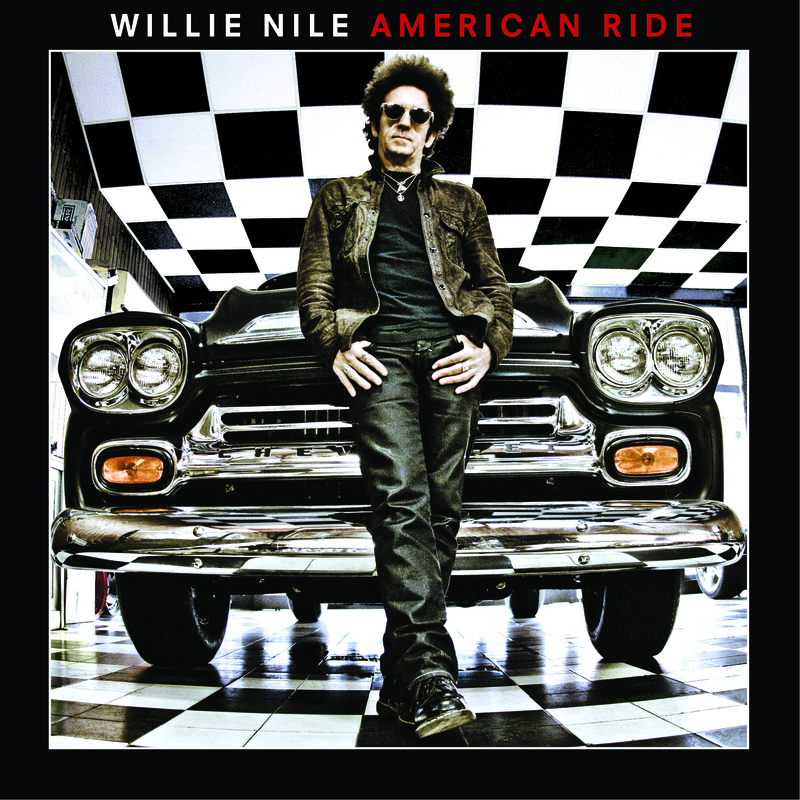 Willie: I would say that early Elvis, Little Richard, The Everly Brothers and The Clash all have a punk influence. New York does have a particular string to it, and a particular street edge. That’s my home; that’s where I am more often than not. It’s part of me, and I think that comes across in the songs. For me it’s the context, the lyrics, and the stories. Whether it’s in a “There’s No Place Like Home” country acoustic vibe, or “God Laughs,” or “Holy War,” or “Life on Bleecker Street.” It doesn’t matter to me, if it sounds real and there’s a story there with a pay off chorus, I mean I love that. Chris: I’d like to talk about “God Laughs” for a minute. I noticed you wrote it with Eric Bazillian from The Hooters. He also wrote, as you know, “What If God was One of Us?” for Joan Osborne. Willie: Yes that’s right! When we were writing it I was in Sweden, doing a charity children’s cancer gig. He said to me, “I’ve got this song and I want you to help me finish it.” And he played it for me, and he was weary about doing other God songs because of that huge song. I told him not to worry about that, because they’re two different songs. I loved it, and just ran with it and wrote it all out. It’s not meant to be disrespectful; it’s meant to be playful and fun. Eric’s really a great and brilliant guy, a great friend. We toured in Spain two months ago and I sang it, and this fellow comes up to me and says, “I just want to tell you, I’m a Catholic priest. Thank you for your song ‘God Laughs.’ I can’t tell you how inspiring that is.” That thrilled me. He got it that I wasn’t coming from a place of disrespect at all, but from a place of humor and playfulness. This is a wild world we’re living in make no mistake about it. People live and people die in it. We had fun with that notion and were playful with it. But it meant so much to the priest, and he said it really inspired him. From a guy who’s given his life for his faith, that’s serious dedication and I could tell it meant something to him. That was very meaningful to me, to get that first-hand feedback from that song. Chris: Well it’s nice to meet a member of the clergy who is able to process a metaphor. For instance the line, “God drinks, God smokes” is just stating that God is a reflection of everybody, and we all have our faults. We almost need to dispel this idea that God is a man with a long beard in the sky. Willie: When I was in college I actually wrote a book of poetry. It was called The Lord in Hiding. It’s in some box somewhere in an attic. The notion that there’s divinity in all of us…that’s where I was coming from with that, and I really believe in it. “God drinks, God smokes, God plans to quit before he croaks. And why? Because he’s God.” I’m having fun with the notion that there’s divinity in all of us, it’s something special and it really resonates with me. Chris: It seems to be a nice balance to the song “Holy War,” which takes on the idea of people using religion as an excuse to inflict violence. 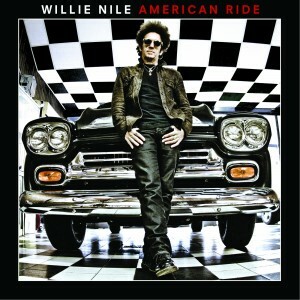 Willie: Since the crusades that’s been happening, it’s been happening for who knows how long before that. Mankind’s got a long way to go; I believe in people, I believe in the human race. There’s a lot of good. The bad news gets more press, and people do horrible things to each other in the name of that. There are a lot of wrongs in the world and there are a lot of justifications for people being pissed off. If I was living in certain parts of the world I could get pissed off too and want to fight back. But there’s got to be a better way than blowing each other up. Chris: That’s right. I’m glad you said that. In your lyrics you state that you don’t point a finger at any particular group of people. Willie: The U.S. is as guilty as anyone at times. It’s not a particular religion or race; I didn’t want to do that. I wanted it to be more general and say, “Hey! We’re all the human race, what can we do to help each other out?” I watched the news last night about some of the sad stuff going on…such anger, such hate. John Lennon was right: “All you need is love.” It’s a hard message to get across to people when there’s so much hate, sadness, sorrow, murder, and revenge. I was watching TV and it was one of those days, those “God is great” days. I was watching TV and saw something get blown up and I thought to myself, “God is great, but you’re not.” That doesn’t make you great. You and I could say God is great and then go and do something terrible and think it’s okay. It’s not okay. It’s not okay and it doesn’t make you great. That’s just where the song came from. It’s an angry prayer for peace. Chris: It’s angry, but it’s an affirming sort of idea that people really agree with. A lot of people are glad someone could articulate that notion. Willie: It’s definitely is a prayer for peace. Chris: Well, Willie, I think that sums up all the questions I had for you. Thanks much for taking the time to do this. Willie: Thank you so much, Chris. You’ve always been so enthusiastic and giving good vibes and stuff. And I appreciate that. I know it’s heartfelt. Chris: Well I appreciate that, Willie. It’s been almost 20 years since I first heard your music, and it’s always nice to see other people being turned on to your music. You’ve been on my radar forever, and it’s great to see you on everyone’s else’s now! Willie: Say hi to everybody up there. I enjoyed singing with you guys. Keep following your heart. If there’s heart there, other people will feel it. Thanks so much and I hope to see you soon. Brian I totally agree! Thanks for reading. It’s always a pleasure to talk to Willie. 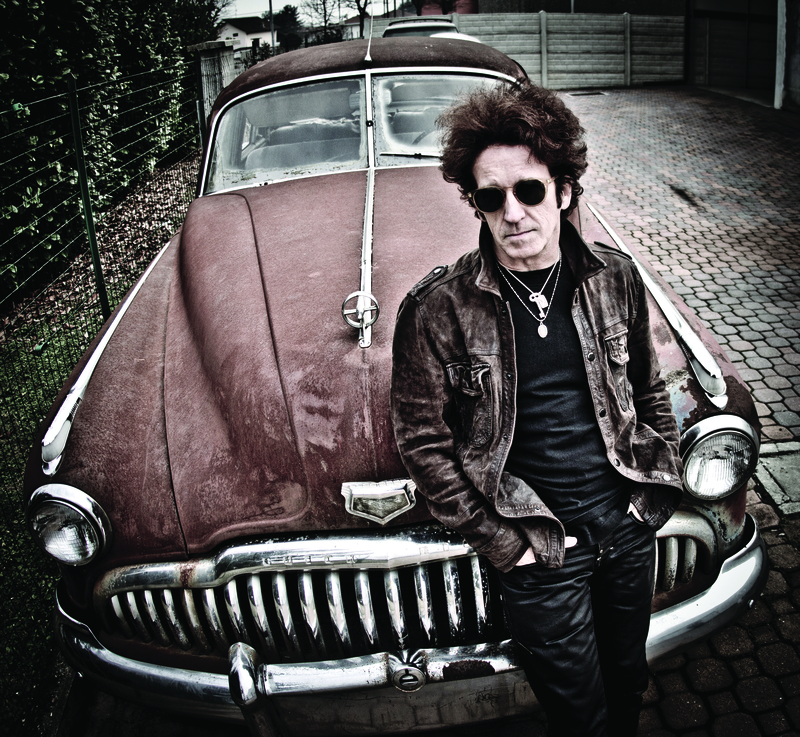 Willie Nile is the Eighth Wonder of the World! His music on disc and his live shows will make you feel that the world is a better place!